Of course the LD-Roms is with the US Sega Pac. Just wanted to know if it would play either of these as there are many cool Japanese Laserdiscs out there. This is a very good question and I'd like to know as well. I swear I can smell your stinky hands from here! 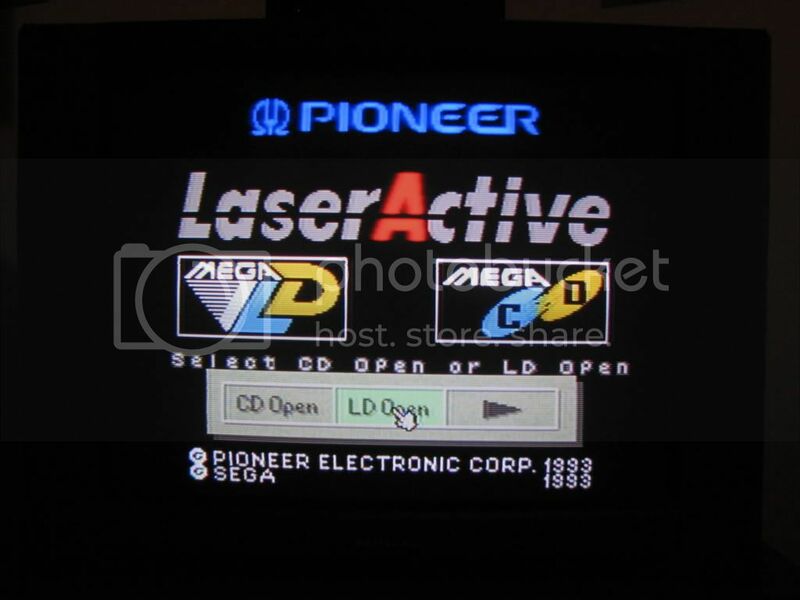 You should be able to play Japanese Mega LD and LD-Rom discs on a US Laseractive system however I don't think you'll get very far trying to play a LD-Rom disc if you only have the Sega Pac. Nice thread. 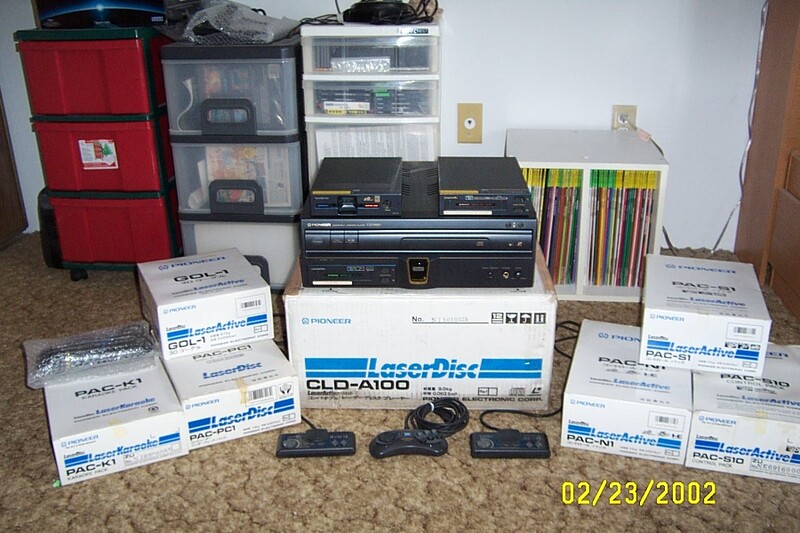 I need to give my Laseractive some luvin'. I believe SCD games are still locked out, but if you're adventurous (and have a chip burner), I think you can go to http://www.gamesx.com for information. I think the BIOS chips in the Genesis console adapter were socketed, so you don't have to desolder and resolder the chip every time you want to change regions. With a little work, you may be able to set up a little rig and a switch. You know...I started thinking about this in detail and remembered I had both a Genesis and Mega Drive module. As seen in the pics, both will play "Mega LD" games but each plays either US CD/cart titles and the other plays Japanese titles. 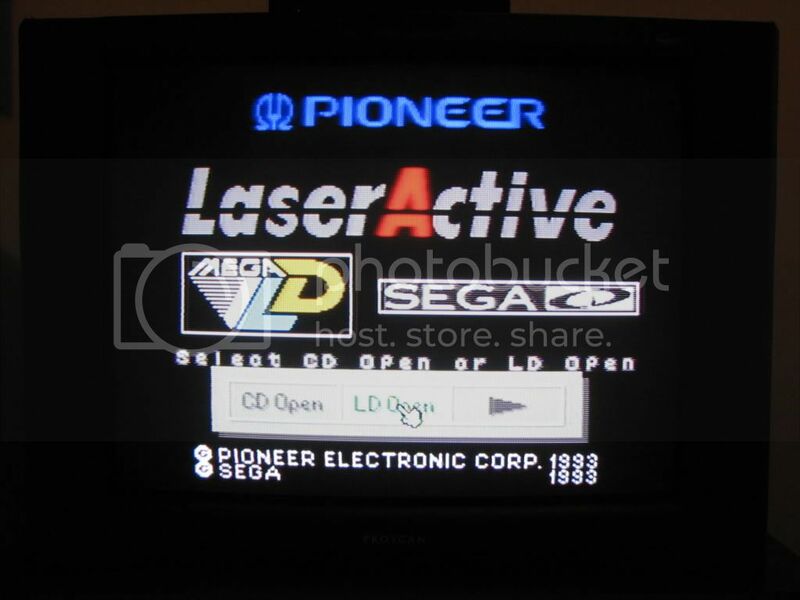 The one cool thing is that the Laseractive unit itself does not care if you are using a US or Japanese Genesis/Megadrive module. Wow, with the DP online guide just a click away, amazing that this is actually a question. Regular Japanese laserdiscs will play in any u.s. laserdisc machine (laseractive or not) - they were all NTSC and with lasers there were no region codes like DVDs have. (You also don't need any module in the laseractive to play regular lasers). 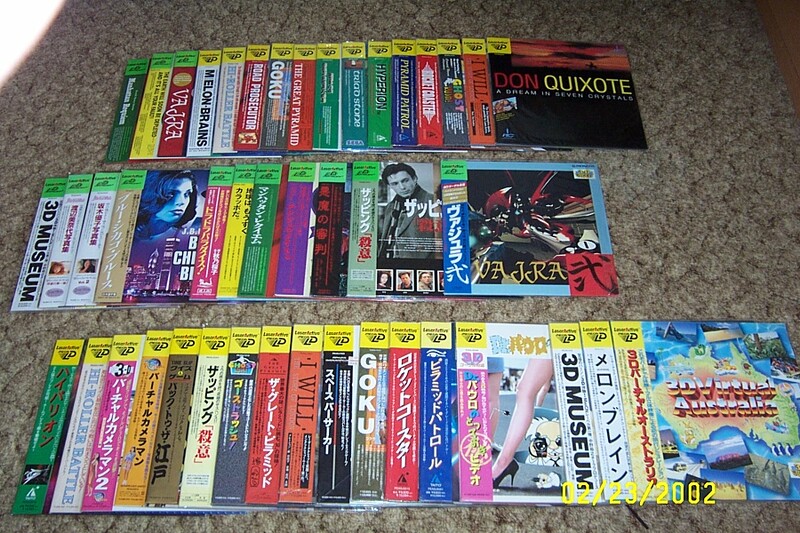 Hong Kong and Korean laserdiscs were also NTSC. The European laserdiscs were PAL and not compatible with NTSC machines. (Note that where the discs were pressed is not always in line with the format - since there were fairly few manufacturing plants for lasers NTSC discs were sometimes pressed in PAL countries and vice versa). 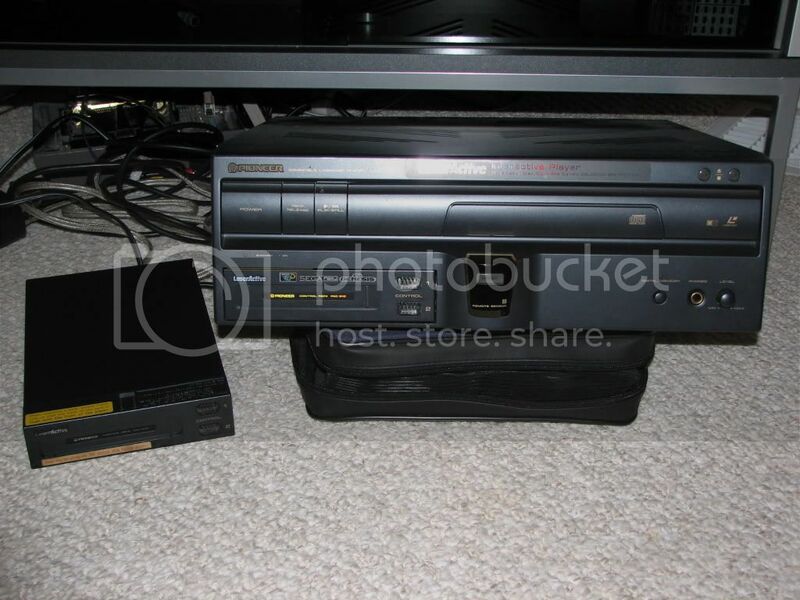 There are also some PALCOM game laserdiscs out there - they are not compatible with the laseractive and (as I understand it) required a computer that interfaced with a special laserdisc player to operate. However, the game works fine on my North American system and is entirely in english (menus, voice-over, everything), so oh well. I've heard that most North American releases have the option for Japanese language... do the Japanese versions have an English option too? Last edited by Ze_ro; 02-15-2008 at 01:07 PM. Ouch, looks like I need to explain this gain. 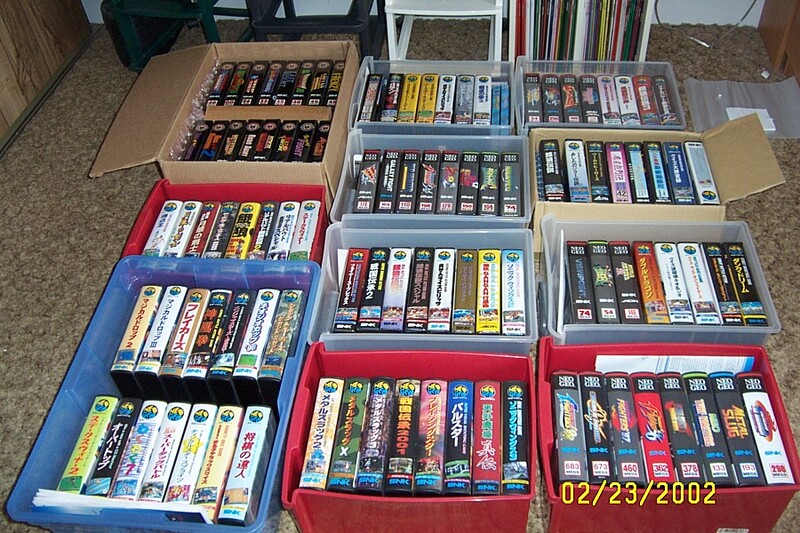 all MegaLD and LDRom2 games are UNIVERSALLY COMPATIBLE, meaning all Mega LD games will work with any Sega modules, Genesis or Mega Drive, LDRom2 games will work with either TurboGrafx module or PC Engine module. Now, as for Genesis and Sega CD games, in general, you'll need Genesis module, I'm saying in general since early Genesis games don't have region lockout, to play Japanese Mega CD/MD games you'll need MegaDrive module, but this can be plugged into your US CLD-A100 which is what I recommend as Jp unit will have different voltage. Both NEC modules will play CD/SCD games in both terr, if you have Arcae Card Duo (the thin blue one, don't use the orange Pro fat one since it'll get stuck), you can also play ACD games on your PC-Engine module, however, if you have the NEC version of the PC-Engine module, 9 ACD games won't work on it. add: hucard games will ONLY work with their respective modules, but either one can be plugged into US CLD-A100. All of my collections are bigger now as I simply don't have time to take pics of the current collections (I have complete US Dreamcast sealed too) due to my work/exam loads. Hans is supposed to add more pics and test more games, but his workload at Microsoft has really bogged him down on his hobby. 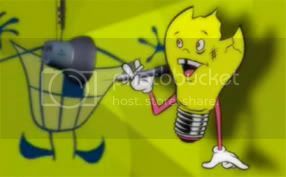 Last edited by vincewy; 02-16-2008 at 09:06 AM. PAC-S10 Laseractive : can it play Japanese Sega-Cds? How to play ROMs Legally! Can you play Roms on the actual system?